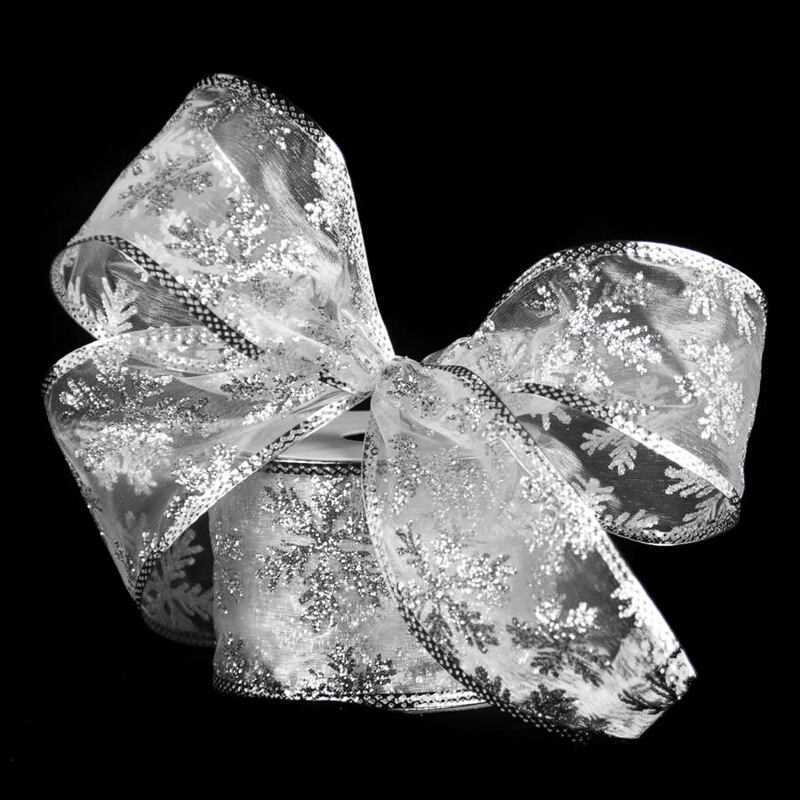 Silver Glittered Snowflake ribbon is an abundantly adorned ribbon that will add the allure of freshly-fallen snowflakes to all of your home decor! 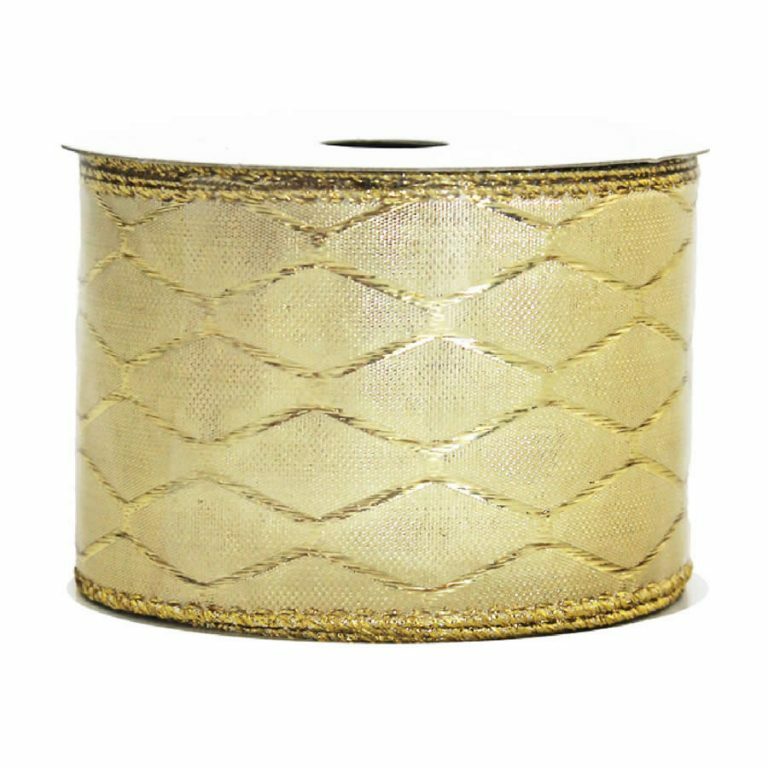 This 9-metre roll of quality, wire-edged ribbon makes dressing the home for the holidays simple and effortless. 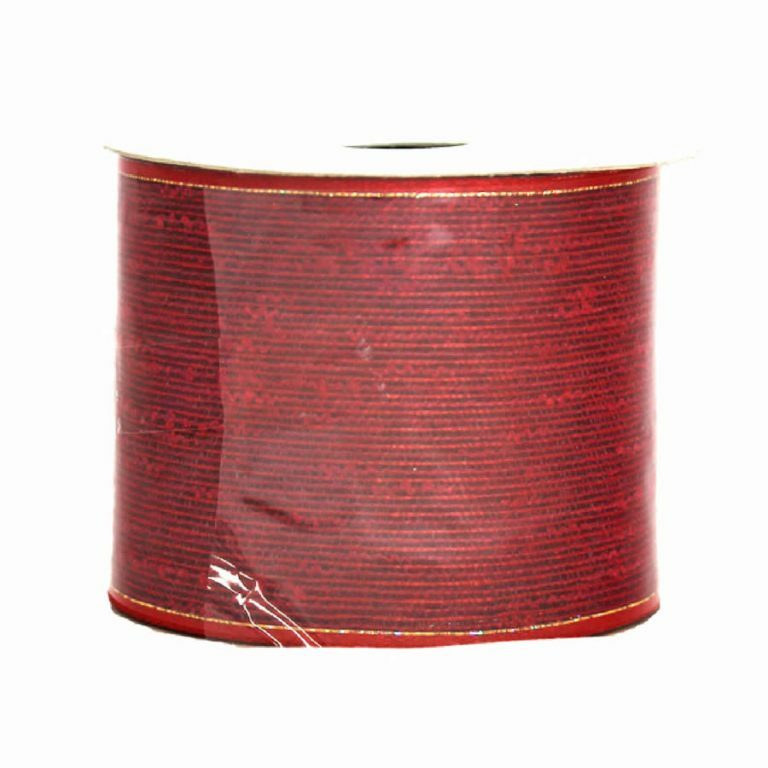 Each roll of 7cm wide ribbon is the ideal product to create the big, full bows that you see in floral shoppes and Christmas retail venues. 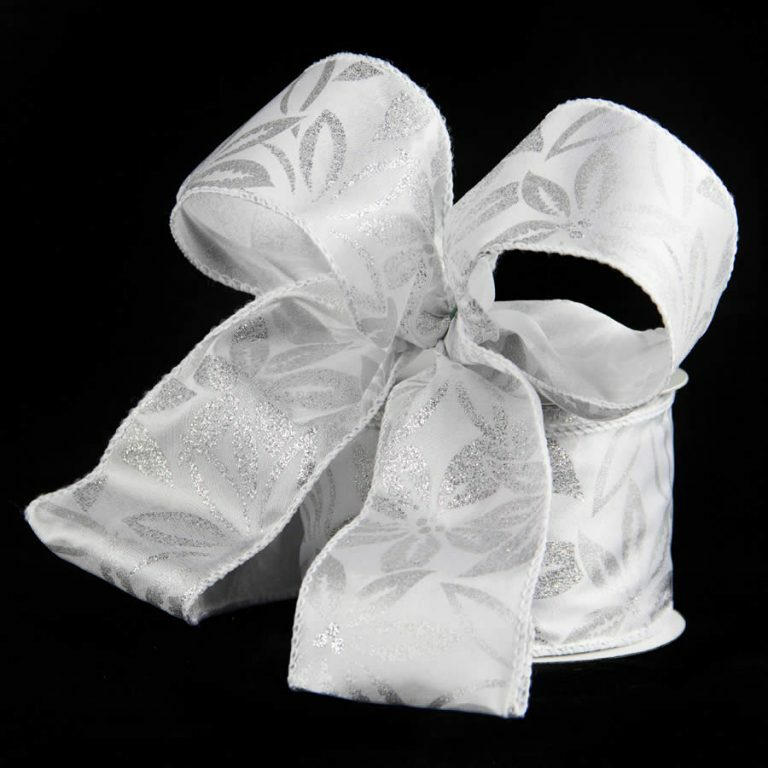 Making your own bows and trims not only allows you to be creative and design items to suit your specific holiday needs, but also saves you significant money in the long run. This wire edged ribbon also makes projects that have longevity and that will stand-up to the elements, storage, and time, providing the opportunity to reuse them again the next year. 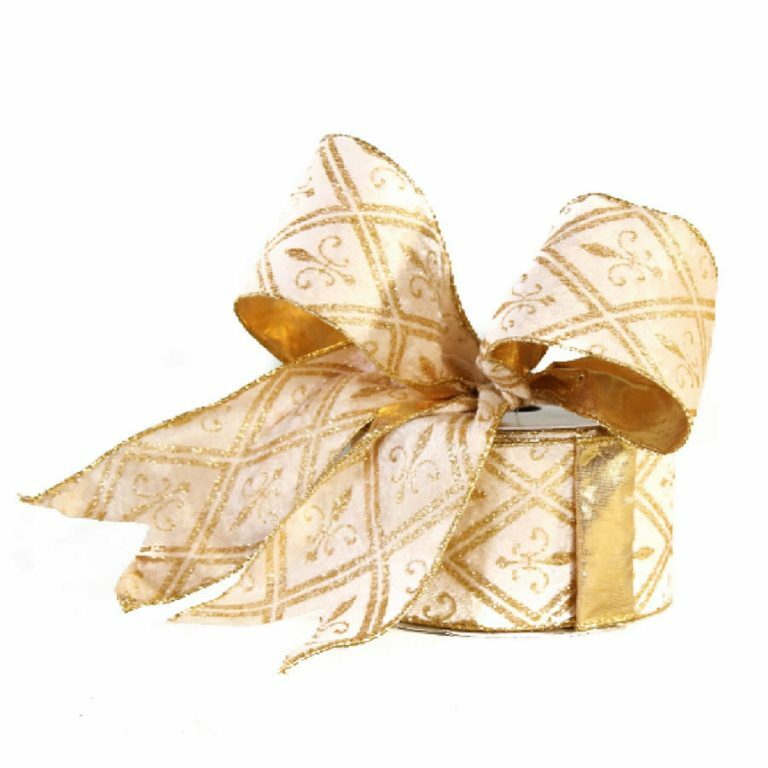 Add this stunning ribbon to a simple package for a look that others will think came from a professional, or to a tree for a dressed-up, holiday appearance!